There are many siblings found in the mixed martial arts fights. They must be under the motive always to avoid a dual with each other because they know what the consequences of the fight can be. Here is a list of the top five famous siblings who have been doing quite well in the MMA. Sergio Jerome Pettis is an American mixed martial fighter who is recently competing in the bantamweight division of the Ultimate Fighting Championship (UFC). He turned a pro in 2011 with a combat against Kyle Vivian at the Canadian Fighting Championship. In the following years, he took up fights against other professional wrestlers like Tom McKenna, Tony Zelinski, Chris Haney and Jimmy Jones to name a few. In his mixed martial arts record he fought a total of 22 battles in which he won 17 and lost 5. In his amateur record too he fought 4 and won all the 4 matches. 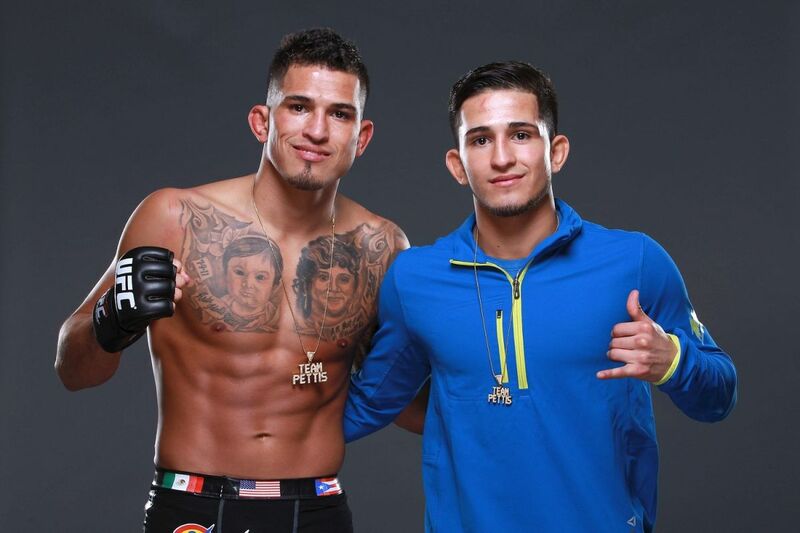 Anthony Pettis is an American mixed martial artist is the brother of Sergio Pettis who ahs currently signed the Ultimate Fighting Championship (UFC). He is a former lightweight champion of the UFC and also the final WEC Lightweight Champion. According to the recent records of December 2018, Anthony Pettis has been ranked as the 8th best in the UFC Lightweight rankings. He made his debut in the MMA on December 2007 and also is said to possess a professional kickboxing background. He is quite famous for his smooth, athletic and technical style of fighting accompanied by other range of fighting techniques. 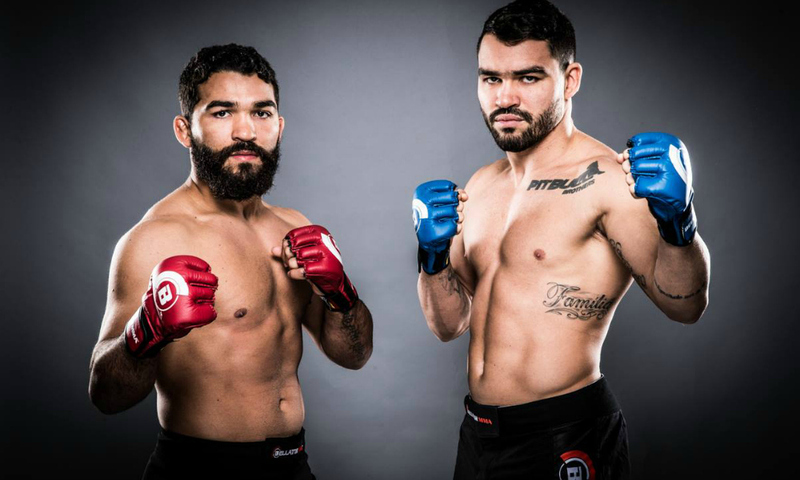 Patricky Freire is a mixed martial artist who is currently in the Bellator’s Lightweight Division. He is the older brother of Patricio Freire and n=both are known by the name ‘Pitbull Brothers’. In the Bellator 36 on March12th 2011, he had faced Rob McCullogh and won the TKO in the third round. He also faced other players like Toby Imada, Michael Chandler, Kurt Pellegrino and Eddie Alvarez to name a few. 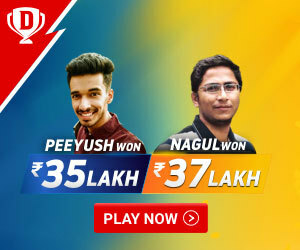 He is the fighter to hold the maximum knockout wins in the Bellator history and was also the runner ups of the Bellator Season Four and Season Ten Lightweight Tournaments. This Brazilian mixed martial artist is currently competing in the Bellator’s featherweight division and is the recent two times Featherweight World Champion. He is the younger brother of Patricky Freire. Patricio Freire has been ranked as the #4 Featherwieght in the World by fightmatrix and also the #1 Featherweight outside the UFC. He has made an indelible record in the local Brazilian fighting ring and then made his American debut on 22nd April, 2010 for Belator in the Featherweight Tournament. In the year 2015 in the month of November, he had set a record of being the Fighter Of The Month in the MMA junkies. 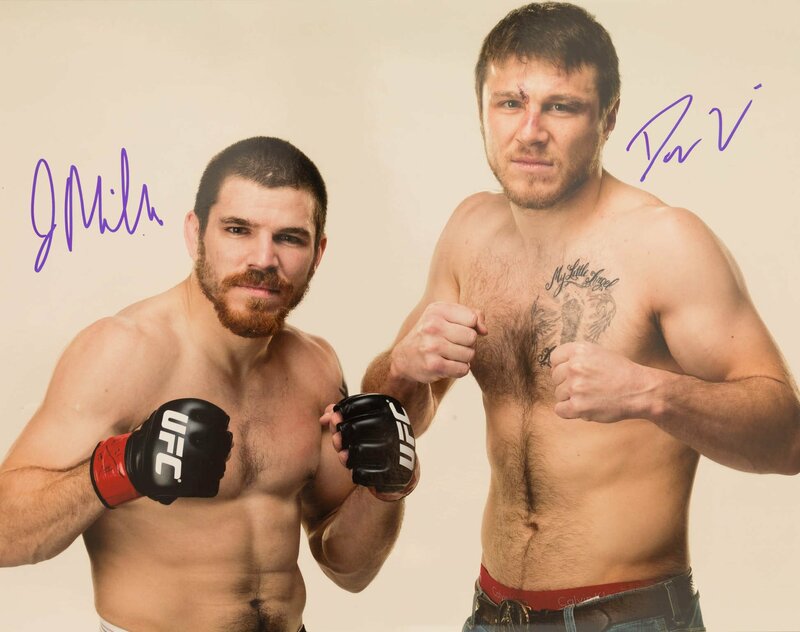 Daniel James Miller is an American mixed martial artist who had previously competed in the Welterweight division in the Ultimate Fighting Championship (UFC). He is the older brother to Jim Miller and was the last International Fight League Middleweight Champion who had represented the New York Pitbulls. He fought his first professional fight against Tenyeth Dixon on 19th November 2009 and came out victorious. He also had faced the Cage Fury Fighting Championship against Dave Perez where he earned the victory as well. Daniel Miller has also been the one times IFL Middleweight Champion and also the earned the title of Submission of the Night in the Ultimate Fighting Championship. James Andrew Miller is currently a competitor of the UFC’s lightweight division and is a famous American mixed martial artist too. He currently holds the record of having the maximum wins in the UFC Lightweight division and is the younger brother of Daniel Miller. He fought his first professional fight against Eddie Fyvie at Reality Fighting 10 where he had turned victorious. He earned two victories later too with combats against Kevin Roddy and Joe Andujar. When he debuted with the Cage Fury Fighting Championship, he defended this title against Atlantic City MMA’s Anthony Morrison. Frank Shamrock is a former American martial artist who was the first to receive the UFC Middleweight Championship. He was theNo.1 ranked pound for pound UFC fighter and was also the holder of many other titles in the sport of wrestling. He has won names and titles like the ‘King Of Pancrase, the WEC Light Heavyweight Championship and the Strikeforce Middleweight Championship. He is the only athlete to earn titles in every major sports league. He has also been named as the ‘Fighter of the Decade’ in the 1990s by the Wrestling Observer. Besides being a wrestler, he is also an author, entrepreneur, philanthropist and a social activist. 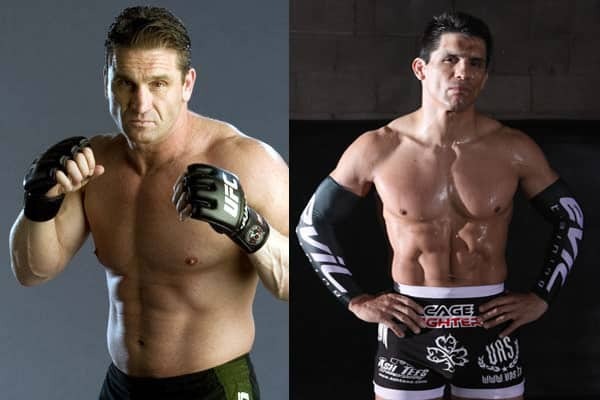 Ken Shamrock is an American partially retired mixed martial artist, an Ultimate Fighting Championship Hall of Famer and a professional wrestler too. He is the brother of Frank Shemrock and is a legendary figure in the mixed martial arts. During his early career he was named as The World’s Most Dangerous Man by ABS news. He was known for his rivalry with Royce Gracie and became the UFC Superfight Champion by defeating Dan Severn. In 2008, he was ranked as one of the greatest mixed martial artist among other 10 players of this sport. He is also the founder of the Lion’s Den mixed martial arts training camp. Mark Hughes is a retired American martial artist who has trained with the Miletich Fighting Systems. He is the holder of titles like the UFC Hall Of Famer and a former two time UFC Welterweight Champion. He did not fight too many matches as a martial artist because he soon found that this sport was just not for him and so went back in his personal commitments and construction business. He has a total eight number of matches in the mixed martial arts record where he won six and lost two. 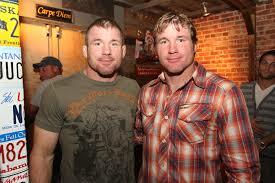 Matt Hughes is his twin brother and a noted player of martial art too. Matthew Hughes is a retired American martial artist who is a professional wrestler. He has many titles to his fame like the UFC Welterweight Champion, UFC Hall Of Fame Inductee, and a NJCAA Hall Of Fame inductee. During his career, he was known as the #1 pound for pound mixed martial artist in the world. He was regarded as the greatest welterweight fighters and the greatest pound for pound fighters in the history of martial art. Because of his win against Gracie Brazilian jiu-jitsu practitioners such as Royce Gracie, Renzo Gracie, Ricardo Almeida and Matt Serra, he was known as the ‘Gracie Killer’- a nickname given by his fans. These are the five famous siblings of MMA who have done very well in the field of martial art.